Considering a used Chevy Cruze is a wise decision. You know this great compact car is dependable, stylish and even more affordable than a new one. 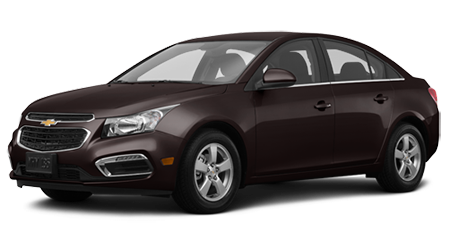 All Star Chevrolet in Baton Rouge, LA has a great selection of used Cruze models on our lot, and we’re offering great discounts on this incredible car right now. We’re conveniently located near Denham Springs, Praireville, Gonzales, New Orleans, and Livingston, LA. One of the smartest ways to purchase a used Chevrolet Cruze is through our Certified Pre-Owned Program (CPO). Chevrolet CPO cars are held to the strictest standards and must meet the highest criteria before they’re certified by factory-trained professional and sold by All Star Chevrolet. CPO Cruze Vehicles are insured under the GM Certified program. GM Certified used vehicles must be 5 model years old or newer and have less than 75,000 miles. The Cruze must then undergo a thorough 172-point quality insurance inspection and have a vehicle history data report that will show any damage, accidents or repair, so you know a CPO Cruze will give you peace of mind. Also, a Certified Pre-Owned Chevrolet Cruze from All Star Chevrolet comes with the solid warranty for even more assurance. A 3 Day/150-Mile Satisfaction guarantee plus a 12-Month/12,000-Mile Bumper to Bumper Limited Warranty. Additionally All Star Chevrolet includes a 5-Year/100,000-Mile Powertrain Limited Warranty (whichever comes first based on original in-service date) and Courtesy Transportation for the life of the 5-Year/100,000-Mile Powertrain Limited Warranty (based on original in-service date). But that’s not all – All Star Chevrolet wants to ensure your safety with Trip Interruption Protection and 24-hour Roadside Assistance. The Warranty is transferable to subsequent owners, and there’s also Like-New Vehicle Financing for Qualified Buyers Using GMAC. Get pre-approved instantly by simply visiting the All Star Chevrolet website. Fill out the simple online form, submit and you’ll know within moments what amount of loan you’ve been approved for and at what tender rate. We work with many lenders, so we know we can help you get into the used Chevrolet Cruze of your dreams. If you’re in Denham Springs, Praireville, Gonzales, New Orleans, or Livingston, LA and would adore a used Chevy Cruze, we’d love to see you at All Star Chevrolet in Baton Rouge, LA. Come by and say hello and let’s find that ideal used Cruze for you!